The new special tax on alcoholic beverages and cigarettes previously approved by President Muhammadu Buhari will come into effect as of today, said Finance Minister Kemi Adeosun. Under the new tobacco rates, each cigarette bar will attract a specific rate of naira per bar; that's N20 per pack of 20 sticks in 2018. In 2019, tobacco will attract two naira taxes per stick or N40 per pack of 20 sticks. By 2020, the tobacco tax will even increase, since it will attract N2.90 kobo per bar or N58 per pack of 20 bars. Despite the increases, Adeosun explained that Nigeria's accumulated special tax rate for tobacco remains comparatively lower than that obtained in some African countries. It is 23.2 percent of the price of the best-selling brand, compared to 38.14 percent in Algeria, 36.52 percent in South Africa and 30 percent in The Gambia. Adeosun also said that the new special excise tax for alcoholic beverages affects beer and beer, wines and spirits during the three years from 2018 to 2020. Under the new regime, beer and black beer will attract 0.30k per centiliter (Cl) in 2018 and 0.35k per Cl each in 2019 and 2020. The wines will attract N1.25k per Cl in 2018 and N1.50k per Cl each in 2019 and 2020, while N1.50k per Cl was approved for liqueurs in 2018, N1.75k per Cl in 2019 and N2 per Cl in 2020 . The Director General, the Consumer Protection Council (CPC), Mr. Babatunde Irukera, said that the decision to increase the excise duty on these commodities was consistent with prevailing world practices. The News Agency of Nigeria (NAN) recalls that Adeosun in March had announced a 90-day grace period for the manufacturers of the products. Adeosun said the new special tax rates would be extended over a three-year period from 2018 to 2020 in order to moderate the impact on product prices. According to her, the upward revision of the excise rates for alcoholic beverages and tobacco was to increase government tax revenues. She said it would also reduce the health risks associated with diseases related to tobacco and alcohol abuse. Adeosun said the new tobacco tax rate was a combination of the existing ad-valorem basic rate and the specific rate, while the ad-valorem rate was replaced by a specific rate for alcoholic beverages. He said he was convinced that the government's approach would boost consumer confidence, provide regulatory clarity and prioritize security, to strengthen the council's mandate. In addition, Akinbode Oluwafemi, the Deputy Executive Director, Environmental Rights Action of Earth Nigeria, described the decision to raise the excise tax on tobacco as praiseworthy. "We applaud the federal government for making tobacco products priced beyond the reach of our children and the poor who are unfortunately attacked by the tobacco industry through their cheap but lethal products. "Considering the threatening threat of tobacco in Nigeria, it is necessary to take strict measures to stop the deliberate marketing of tobacco products to children," said Oluwafemi. However, the President of the Manufacturers Association of Nigeria, Dr. Frank Jacobs, expressed his fear that the proposed walk could lead to the closure of factories and the loss of jobs in the country. The NAN also recalls that the Council of Ministers of ECOWAS held in its Sessions 62 and 79 in Abuja, in May 2009 and December 2017, directives on the harmonization of the laws of the member States of the ECOWAS on special taxes. 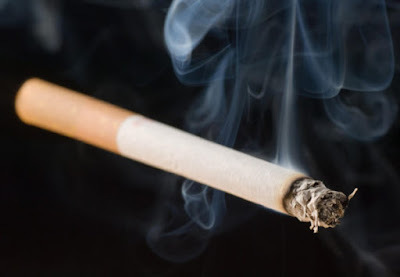 Similarly, the International Monetary Fund (IMF) in its 2017 mission report advised Nigeria to raise the excise tax on one cigarette to N5, which is five times the approved amount. "The low level of taxes prevails even though Nigeria is the country with the highest alcohol consumption in Africa and leads the top 10 countries with the highest consumption of beer," said the Fund. The new rates also fail to meet the most energetic recommendations of the World Health Organization (WHO) in Article 6 of the Framework Convention on Tobacco Control (FCTC), which suggests 70 percent of excise taxes on tobacco products .